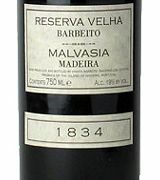 "The 1834 Malvasia has a clear hue with a lucid amber core with greenish tinge on the rim. The nose does not quite have the same clarity as the 1875, with notes of toffee apple, dried herbs, a touch of marmalade, lanolin and pressed flowers. It gains definition in the glass, offering complementary scents of buttered burnt toast and wild mushroom. The palate is very well-balanced with walnut and lemongrass on the entry. In the mouth, this Malvasia offers more than the nose: cohesive with an attractive waxy texture. There are lively notes of bitter orange, lemongrass, ginger and white pepper. It has retained impressive weight and length, and the finish is still wonderful refined. 96 pts, Wine Advocate"